Well, by now you must think I live here! Lol! I am here about twice a week though. Today, I couldn’t pass up the chance to tell you about this superb Acai Bowl. 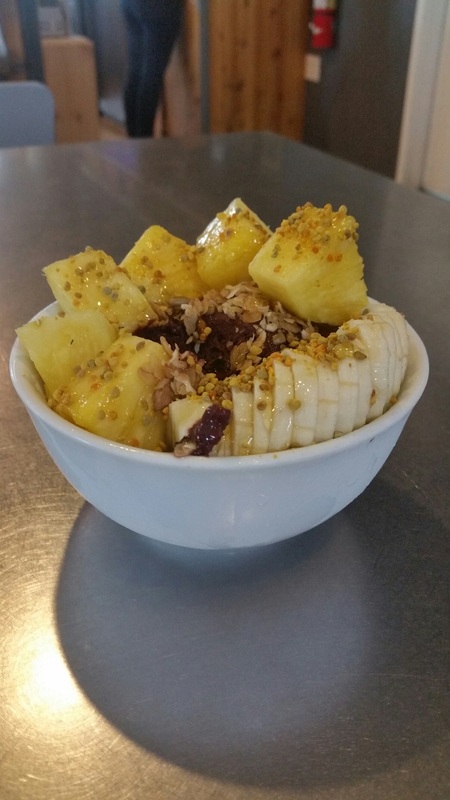 The Mahalo Bowl has Banana, Pineapple, Sweetsations Granola and Bee Pollen. Yummy! Anna made it for me and she is really cool too. It is always clear to me that Anna and the rest of the staff at Vigilante just plain love what they do! They will be celebrating their 2 year anniversary in a few weeks. Make a special trip here. You will be happy you did!